UN Special Envoy for Syria Staffan de Mistura said that only a ceasefire and humanitarian progress in Syria will make the intra-Syrian talks credible. 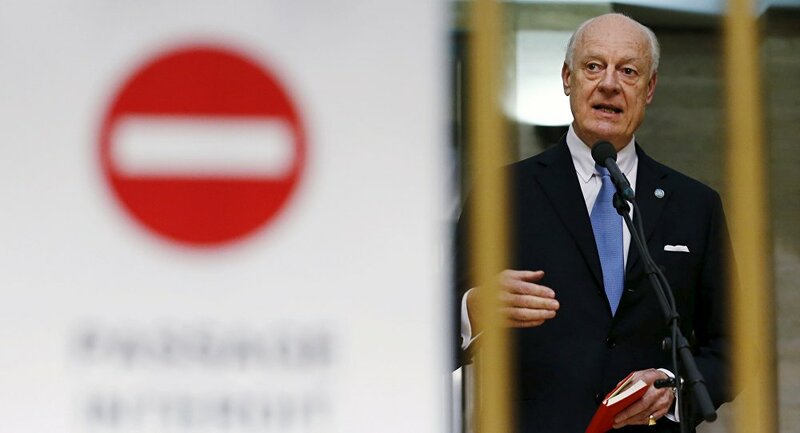 MOSCOW (Sputnik) — The UN-brokered talks on Syrian reconciliation will not be resumed on February 25 in Geneva, as was initially planned, UN Special Envoy for Syria Staffan de Mistura told a Swedish media outlet Friday. 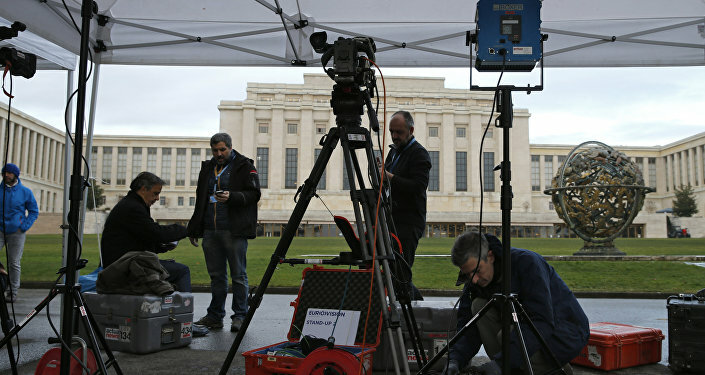 "I cannot realistically call new Geneva talks for the 25th of February. We need ten days for preparations and [to send out] invitations. But we aim to do so soon," de Mistura told the Svenska Dagbladet newspaper in an interview. According to de Mistura, only a ceasefire and humanitarian progress in Syria will make the talks credible. Syria has been mired in civil war since 2011, with the country’s government fighting so-called moderate opposition and numerous jihadist groups. On January 29, the talks between the Syrian government and representatives of the country's opposition factions began in Geneva. On February 3, UN Special Envoy for Syria Staffan de Mistura decided to postpone the talks as the parties were unable to reach a compromise on a number of issues. The opposition and government delegations blamed each other for the breakdown of the talks.